This law is not a panacea for all the ills of animal testing, but it’s an important first step. No longer can labs hide away and quietly kill these victims. 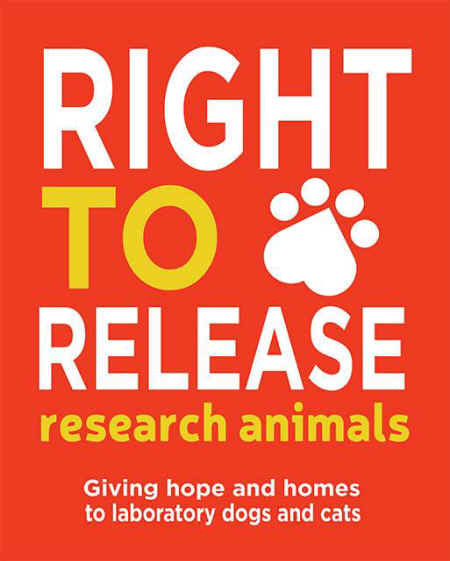 Thanks to your voices they must now give them a chance at a forever home where we can tell their stories and raise awareness about this controversial and outdated method of research. Two years ago when Beagle Freedom Project identified a deficiency of law that gave zero protections to the ‘right to release’ for dogs and cats used in experiments, we came up with this policy fix to make sure these animals got a chance at a real life outside the labs. It was no easy feat. Through countless hearings, meetings with elected officials, and heated testimonial debates with the opposition we remained steadfast in our determination to win freedom for these testing victims. Well, we just did! There will be more bills to come and more actions to take, but today we celebrate! You have made history and helped to save lives that were once condemned. Raise your glass and make a toast to freedom for all the new furry friends we are soon to rescue! A special thanks and big recognition is owed to Assembly Member Matthew Dababneh for proudly and boldly authoring and championing this bill along side Asm. Marie Waldron, Asm. Eric Linder, Asm. Bloom, Asm. Bonta, Asm. Mullin, Asm. Wilks, Asm. Williams, and Senator Leno. Our deep affection also extends to our favorite famous friends Sia, Nikki Reed, Whitney Cummings, Emmy Rossum, and all of our coalition partners, particularly the ASPCA, San Francisco SPCA, and the State Humane Association of California!